Monday - Saturday 11:30 a.m. - 9:30 p.m. Private parking lot, an easy coming from either direction on route 50, security lighting at night. We are located on the north side of Route 50. Dogs (and cats) are welcome to dine with you on the patio. For your convenience a Furry Foodie™ Dinner maybe ordered off the menu for your pet. 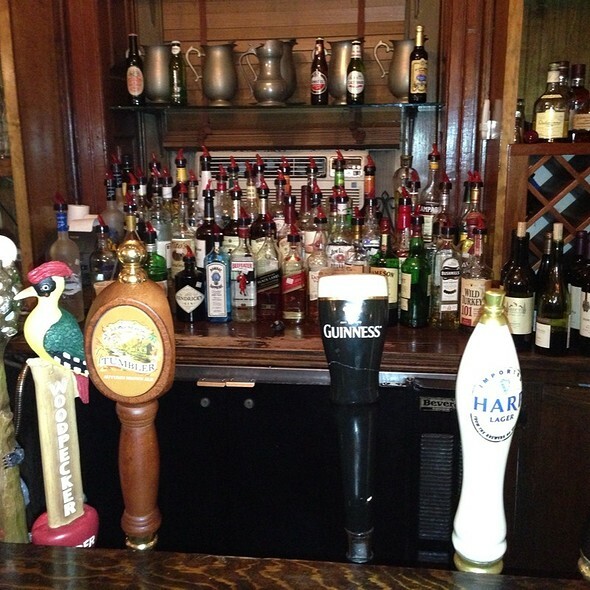 Hunter’s Head Tavern welcomes your private party reservations for 10 to 35 people. If interested, contact the General Manager at 540.592.9020. 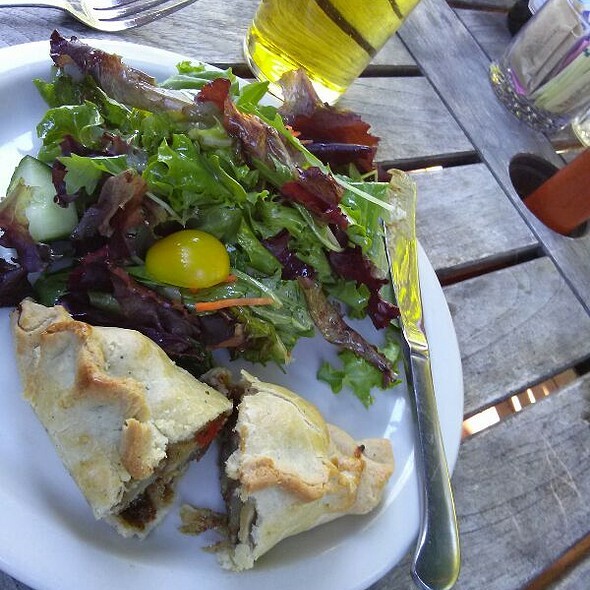 Experience our English-style Pub that serves traditional pub fare, fine dining cuisine and mouthwatering homemade desserts. 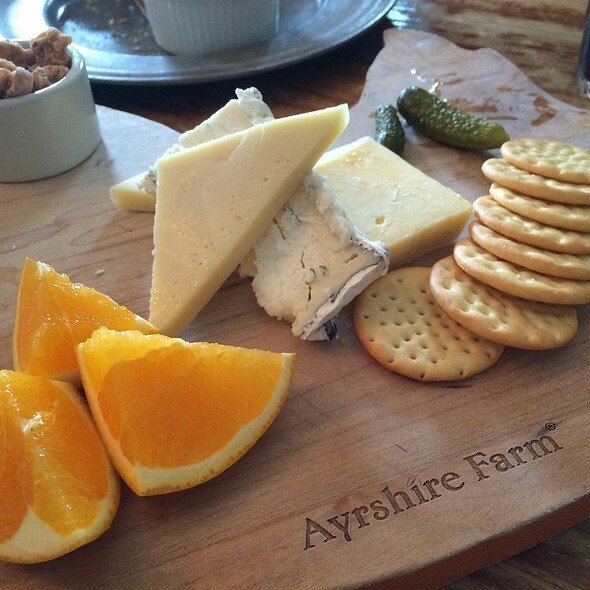 Entrees and appetizers feature local farm meats (Certified Humane® and Certified Organic) as well as local produce. Our main ingredients come from farms dedicated to maintaining the health and well-being of their animals as well as the land. Domestic and imported beers are available on tap along with an excellent wine selection including local and organic choices. Cancellation Policy: Parties of (6) or more are asked to leave a credit card on file, at time of reservation. Reservations cancelled with less than 24 hours notice, will be subject to a 30% charge of the total estimated bill. 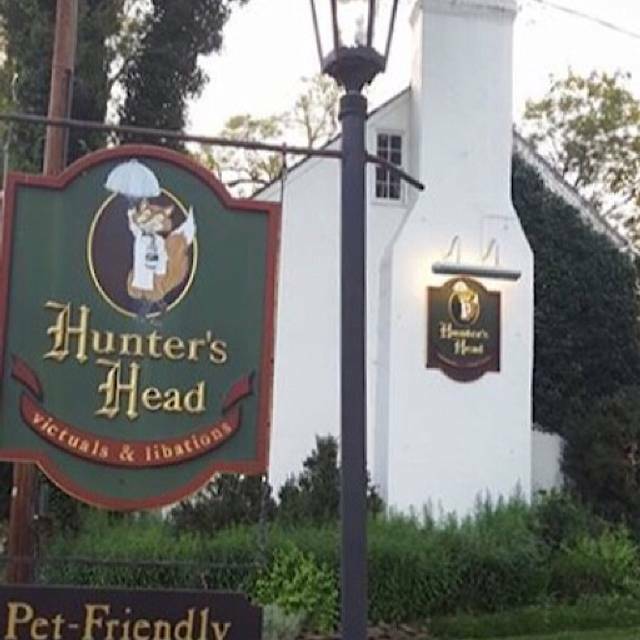 A gift card reflecting the 30% charge will be issued to the guest at time of cancellation, and made available for pick up on a mutually agreeable date at Hunter's Head Tavern. Having never been to Hunter's Head before, we booked a reservation based on their menu and pictured ambiance, and were definitely not disappointed in any area! We love old country pubs and taverns anyway, and this particular one had a very diverse menu, operating like a traditional English pub, with an old-time tavern ambiance. 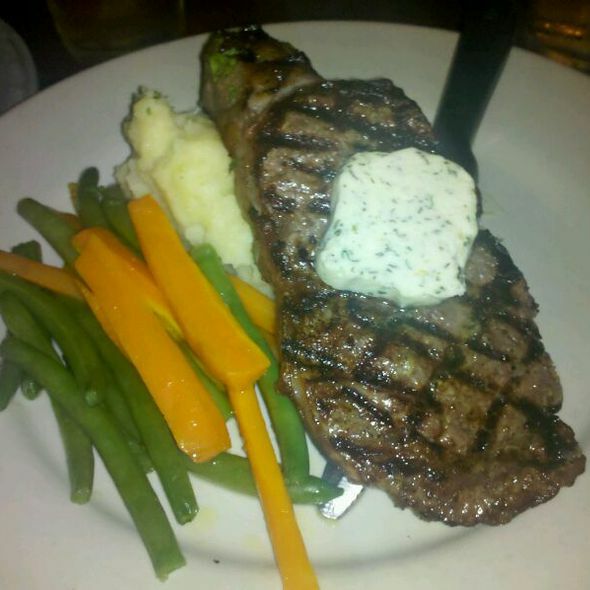 The food was wonderful and the service was extremely pleasant and efficient. In fact, we enjoyed ourselves so completely, we decided to return the very next evening, and had the exact same experience, only with different meal choices. 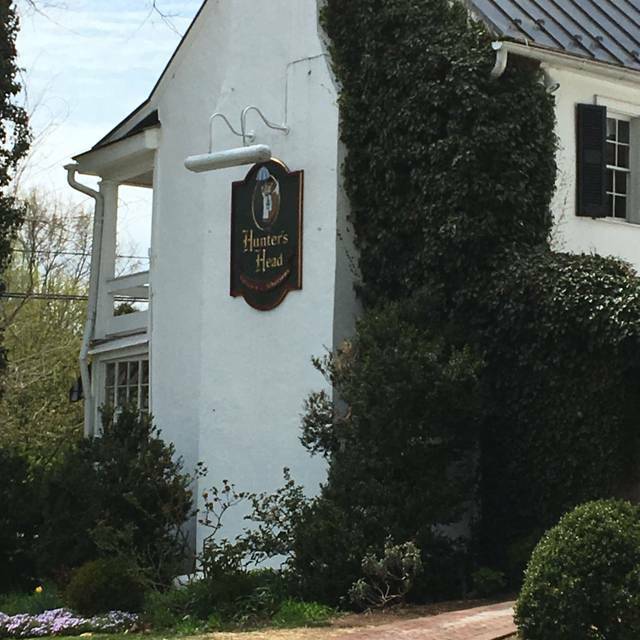 We will definitely go back next time we're in the Upperville area! Excellent food selections prepared well. Service was exceptional and server checked with diners appropriately. Excellent experience! The server was pleasant and engaging and enthusiasticly sharing the history of the establishment. We will return often! 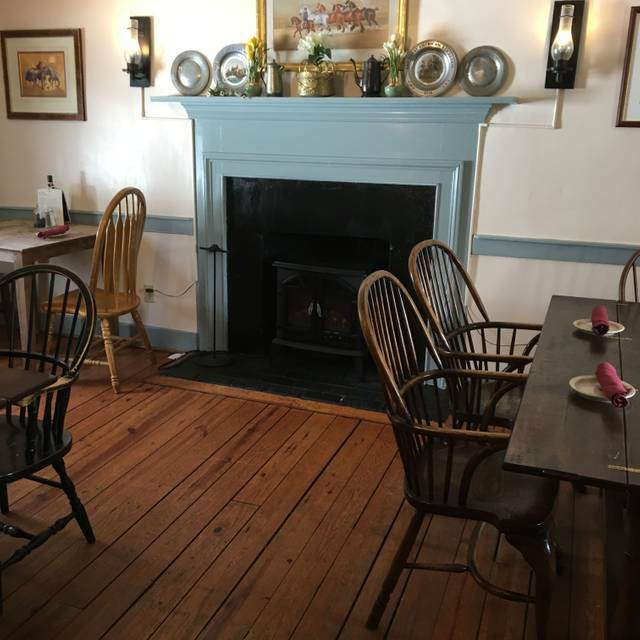 Wonderful old historic tavern in the Virginia countryside. Sunday brunch was bustling but the staff was very attentive. Excellent bloodies. Food service was prompt and locally sourced. Very tasty. Homemade bread and house sausage was excellent. Wonderful smoked salmon plate and eggs benedict. Really had a wonderful experience. Brought friends from out of town. They loved everything about the dining experience. Lots of choices on the menu. Love the no GMO and local sourcing! One of our favorite restaurants. Food was cold. Food was overpriced. Service was subpar for the prices they were charging. We were almost done with our meal and I finally asked who our server was because nobody introduced themselves to us. We will but return. Ever. It’s a shame really - we had been looking forward to this all week. Anniversary dinner. Our 11 year old joined us. Chicken pot pie and salmon were excellent. Ribeye was mostly great. A little tough in spots. One of the best restaurants within 100 miles. food is always excellent and the atmosphere is wonderful. One of my favorite places for steamed artichokes! Hunter's Head is a short drive, so it's convenient. I like the atmosphere, and the wait staff is nice and courteous. But the last two times I was there, my meal was served tepid. First was a hamburger, second time was a pizza. I'll probably send the meal back if it happens again. I'm still willing to go there, because of a new happy hour they've introduced. it's a good place to meet friends, and everything was good on this visit. so that everyone was comfortable. empty tables in the room and no line as we left. This was a weekday lunch. It is styled as an authentic English Pub in an historic house. We were seated at a window table off of the Pub room, so the noise level was likely less than in the larger dining room. Service was excellent - very nice waitstaff. The food was delicious overall - the warm sticky Toffee dessert was yummy! We are already planning to return again for dinner. We arrived about 10 minutes ahead of our reservation and the friendly staff immediately engaged us when we walked in. Had a great imported beer at the bar and soon we were show our table. Nice loaf of fresh baked bread was placed before us a we mulled over our menu choices. Order taken and food arrived in good time. Excellent fish and chips, corned beef and a Sheppard’s Pie for our table. The whole time our waitress kept checking on us while making us laugh. Excellent dining experience in an old English feeling setting. After spending 6 years in England I should know. Staff is uninformed and unhelpful. I was trying to buy a table dinner, buy decorations, buy special attention and I met roadblocks at every turn for one week. Th3 night of the dinner not one staff person knew about it and my guests had to inform them of the procedures! I would not pay those people to work for me! It’s a terrific place! Bangers & Mash a must, followed by Sticky Toffee Pudding! Visit Sky Meadows Park before or after!! Always enjoy a trip to Hunter’s Head... good food and relaxed cozy atmosphere. I like the small dining spaces where each seating area is charming; definitely an old pub type feel. Good variety and quality of menu options to choose from. One of my favorite go to spots! 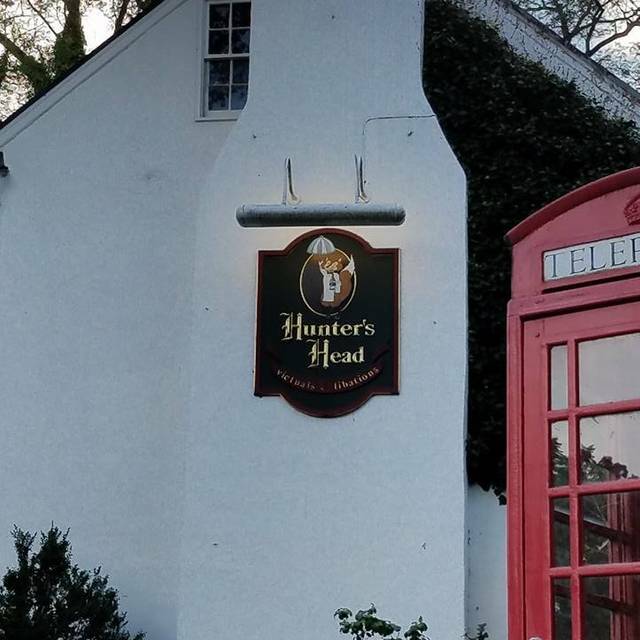 Hunters Tavern has great atmosphere and truly goes the extra mile to recreate the English Pub experience. We all had the Baked Brie and Fish and Chips and a desert and all was good. Unfortunately the hostess was a little lacking in good customer service. Expecting to be shown to our table with menus in hand the Hostess ignored us until we asked the question about proceeding to the table. It's always a great meal here. The waitress this time was new, I suppose; she didn't bother to check drinks until we were almost done the main course. One of our favorite places to bring out of town guests. We love Hunters Head and go there often - generally for dinner. This was an early lunch and less crowded so surprised that the service was slow and not very attentive without us flagging someone down. I really wish they would just put condiments out on tables or bring them with burgers as it's also frustrating to wait for someone to go prepare that (and perhaps get stopped with other duties) once the food is served. We love the uniqueness of HH and don't object to the ordering system at the window but this one innovation - being willing to bring condiments before or with food would really improve things. We were a party of 4 celebrating a birthday on Sun. Eve. We loved our back room table by the fireplace and just had a great time! Wonderful experience. I appreciated staff allowing my grandmother to order from the table rather then the customary order at the cashier window. We got the benefit of ordering from the table because of her and it really made the experience even better for all of us. Great staff and excellent food. Food is excellent and the service was spectacular! Our go to place! Always a treat. I love this place and have been coming for years. The ingredients are fresh and local and everything is delicious. The ambience is relaxed and comfortable, but not loud. Over the years there have been a few misses, like the spinach and strawberry salad or the three salad plate I just had this weekend, but overall the food is usually delicious. Their Welsh rarebit is my dads favorite and my mom loves the chicken and mashed potatoes. 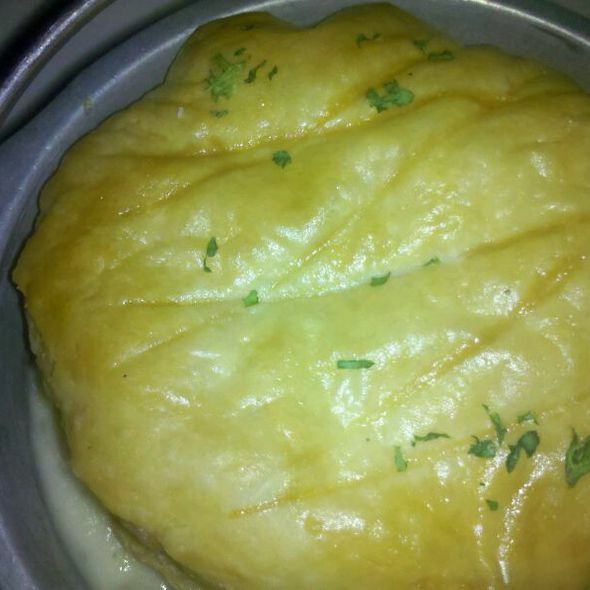 Chicken pot pie is always a good choice. If there is pork on the specials, order it. Their pork entrees are always amazing. The sticky toffee pudding is my go to dessert but the chocolate cake is just as good. It’s predictably good, a great place to go in the winter where you can cozy up to the fire and in the spring and summer when you can eat outside and bring your pooch. Highly recommended! Great place to eat, ordering at the window was a little different. All in all, a great experience. Great service. We love the bread. Wished they would have had beef stroganoff. Enjoyed the evening. Fireplace was nice with the fire going. Food was great and large portions. Entry to the restaurant could be marked better. Went to front only to see sign that said where to go in the bask. A little disappointed at the fries (chips) with the fish. They were lukewarm, soggy and overly salted. I have had better at this establishment, therefore my expectations are somewhat high. I had a French dip for lunch. Au jus lacked flavor the beef was quite fatty. Fries were very good. Based on my memory from last visit I expected more of my entree so was a bit disappointed. But the sticky toffee pudding was delicious!!! Our favorite place for lunch whenever we are heading to wine country! We own a winery near Hunters Head. We refer our customers to this restaurant all the time! Wonderful, as always. It seems as if the seating was more comfortable than previously when the chair I had was not as comfortable. The Shepherds Pie was good, as always. The fish and chips were the best I have ever had, The fish was tender and tasty while the crust was perfect. The service was excellent. The four of us have eaten dinner here twice. It can get crowded on weekends, so reservations are advised. Nothing disappointing, but the pork chop was a standout. We love Hunter's Head Tavern. It is almost an hour away for us, but we keep going back! The food is always very good, and the historical old house is so fun to spend time in. The service staff was right on top of everything, clearing plates as soon as someone finished and refilling beverages, all with a smile. The menu is a fun change of pace, and it just makes for an enjoyable outing. Today, we tried the vegetarian lasagna and it was spectacular. It was served with the pub greens, which is always great (I wish I had their dressing recipe) and the hit bread - YUM! It is rather noisy when we walked in, however, the room where we ate was somewhata better. Ordering at the window after looking at the menu on the wall I don't think gave us an adequate chance to really look to see what we wanted. I ordered the grilled chicken and what I got was a husge bowl of noodles in a thick mushroom cream sauce and a rather small piece of chicken. I couldn't eat much of the noodles because the sauce was so thick. My husband ordered Steak and it was marginal for the price. All in all, I don't think we would go back. Marginal meal for a not so marginal price. Excellent food in a fun and friendly atmosphere. Guinness Beef Stew and Bangers and Mash were wonderful.